So let’s start something new!! While I love making my own recipes, there are times when just like everyone else I find a recipe. I hope that these fall recipes will be what you are looking for too. When finding recipes, I either make it work for me or just give it a go. This week I tried two fall recipes I found, one with an adaptation and one without. 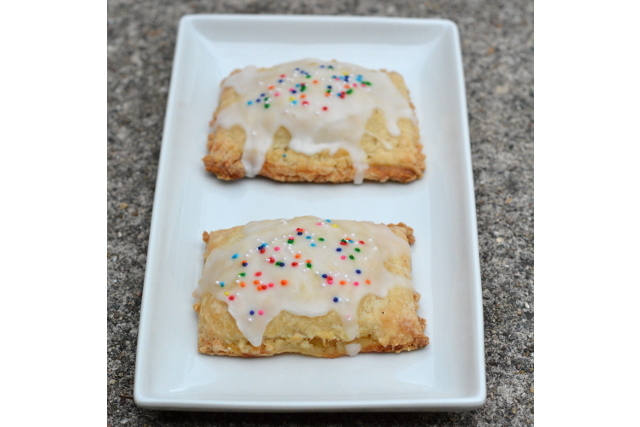 As you probably saw the beginning of the week I made boozy apple pop-tarts. Over the weekend at Whole Foods, there were some heirloom apples fresh from Indiana for $0.99/lb. So boom we had to make something with apples. Normally we’d do a rose apple tart, apple pie or my dutch apple pie bars…..but I’ve been wanting to try pop-tarts and thought my fresh apple filling would be amazing! All I needed was a crust recipe. Now I could have gone with my typical pie crust, but I wanted to try something that had been tested so King Arthur Flour’s Tasty Toaster Tart Recipe wound up on my screen. The ingredients looked solid for a crust, if a little more butter than needed. 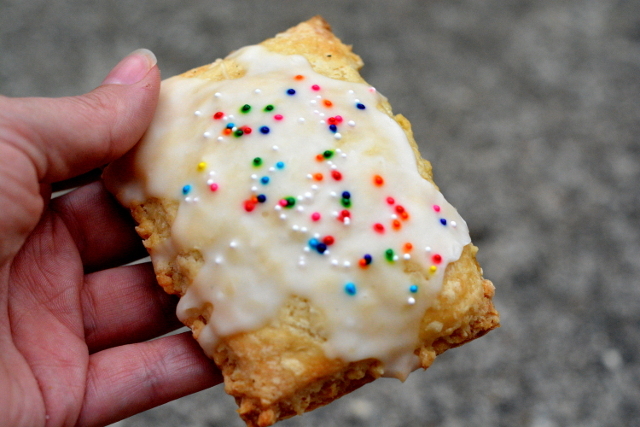 I should have listened to my instincts….while the dough came together well, it is incredibly gooey and hard to work with once rolled out to make the actual pop-tarts. We’re talking gooey play dough consistency as it warmed to room temperature. If you are a novice baker, you may be overwhelmed. It did bake up well though and paired nicely with my Dutch Apple Pie Bar filling. They are a favorite with the neighbors too. On to the next baking adventure this week. While at one of the small community grocery stores in the Northwest Suburbs of Chicago, I found about 3 pounds of perfectly ripe Empire Plums for .99 that I just couldn’t pass up. Even though Susie is not a fan of plums, as you know Empire Plums are different. They are best for baking. 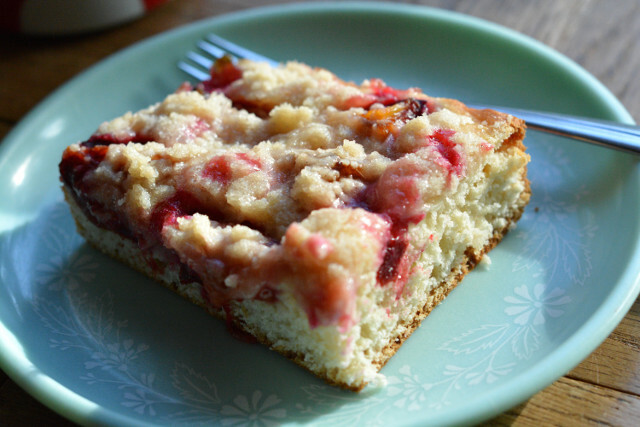 I haven’t baked with plums in years so I searched for a plum coffee cake recipe and found this Zwetschgenkuchen which looked right. As you’ve seen before on the blog, I’m pretty comfortable working with yeast. So much so that I didn’t follow the directions for making the crust on this recipe. I threw it all in the bread machine on the dough cycle and let it go to work. I also substituted buttermilk instead of milk and did none of the warming or proofing my yeast. Dough turned out perfect and was much easier to just pop in the pan and add the chopped plums. I actually cut my plums into eighths and had just enough to cover the dough. This recipe gave the neighbors, if not Susie, a happy boost as they’re older and plum coffee cakes used to be a lot more popular. I remember my mom making them growing up, but they weren’t the plummy jammy coffee cake that this is. 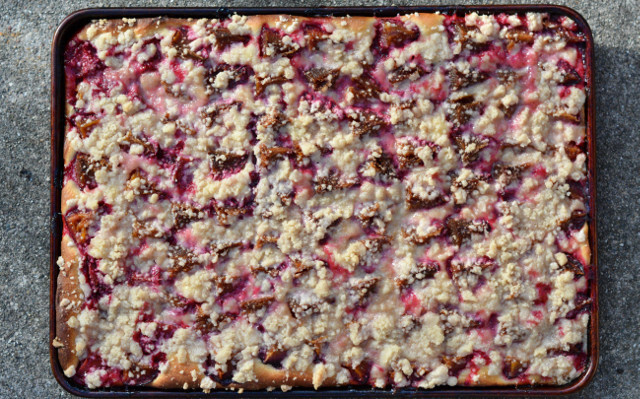 This Zwetschgenkuchen turned out perfect, but I don’t think I could have added the extra pound of plums that the recipe called for. As it baked there was quite a lot of bubbling juicy-ness that would have made a really big mess if I’d added an extra pound of plums. I hope this satisfies your craving for fall recipes. I expect to post more recipe collections. Like most bakers, I feel a need to cobble together pies, cakes, cookies and more. Yet, finding the extra time to create a brand new recipe does not always fit in my schedule. Sometimes you want to just enjoy a good recipe with a combination that you know will work. Of course, recipes are unique to the creator, so what works for them may not work for you or me. I hope you learn to customize recipes through these posts as well. Happy fall baking!